The Caenby Corner Complex is a business park of over thirteen acres providing a range of existing office and industrial buildings constructed over a number of years as the campus has developed. The site comprises a relatively level rectangular parcel of land totalling some five acres. The current Masterplan has been designed to accommodate buildings from 2,420 sq ft to 38,750 sq ft. The site could however facilitate buildings up to 60,000 . Plots can be made available from 0.21 hectares (0.5 acres) to 1.35 hectares (3.34 acres). 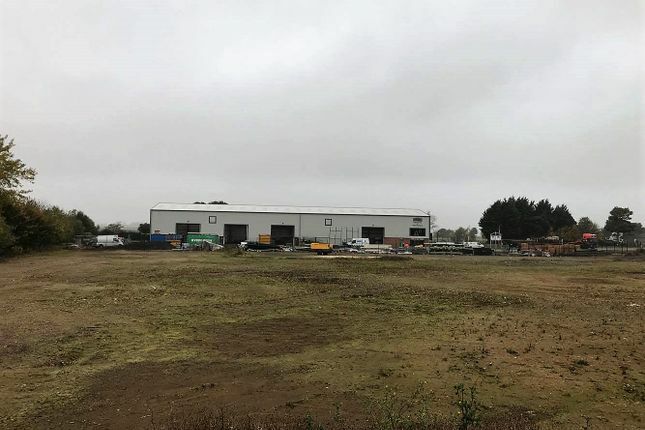 Planning approval has been granted for the entire development which will ultimately comprise a blend of employment related uses including Light Industrial (Class B1), General Industrial (Class B2) and/or Warehousing and Distribution space (Class B8). Interested parties should discuss their specific use and development proposals with the sole agents. New buildings can be tailored and modified within reasonable parameters to suit specific occupier’s needs. The development occupies a highly prominent and strategic location close to the Caenby Corner roundabout on the A15 approximately 11 miles north of the City of Lincoln. The position is therefore convenient for the local and regional road network being only 11 miles from the M180. Neighbouring businesses on the development include Fox Plant and Timmins. Our clients will consider a sale of land either as a whole or as individual plots. Alternatively, our clients are able to offer a ‘Design and Build’ package to provide new bespoke premises to suit an occupier’s needs. Buildings can be made available for sale or to let. Terms for design and build options are available on request. The site is visible from the roadside. For any additional information please contact the sole agents. Property descriptions and related information displayed on this page, with the exclusion of Running Costs data, are marketing materials provided by Banks Long & Co, and do not constitute property particulars. Please contact Banks Long & Co for full details and further information. The Running Costs data displayed on this page are provided by PrimeLocation to give an indication of potential running costs based on various data sources. PrimeLocation does not warrant or accept any responsibility for the accuracy or completeness of the property descriptions, related information or Running Costs data provided here.